Have you ever made a Lego house and wished it was a bit less, well, plastic? It looks like you weren’t the only one. 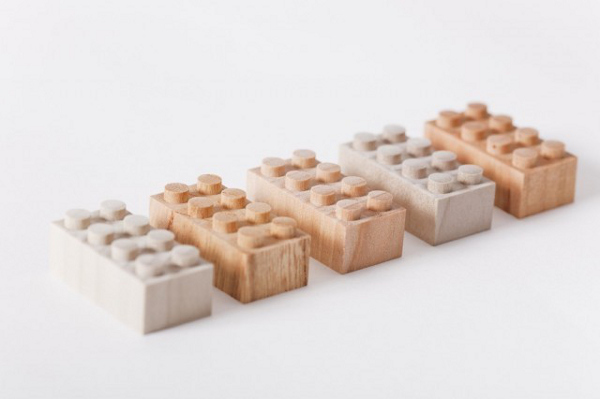 These amazing wooden building bricks are from Japanese company Mokulock. Their website’s totally in Japanese (and even with the help of Google Translate, you still need to use your imagination a fair bit!) – so it’s lucky that the beautiful pictures well and truly tell the story. My well known bias towards all wooden toys aside, I think these are stunning. 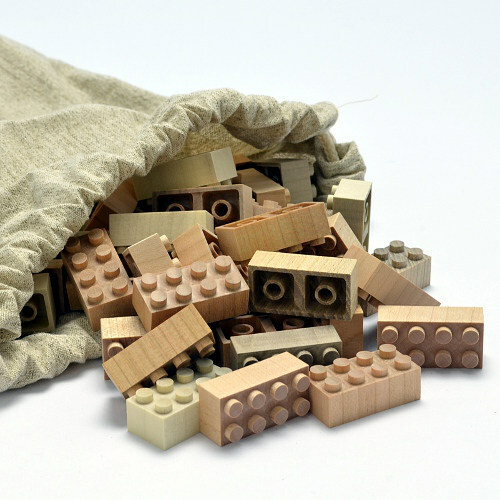 They connect with standard Lego-style bricks so you could make an entire wooden house with them, or just a normal Lego house with a wooden feature wall! A basic starting pack of fifty will set you back ¥2835 (a bit under $30 at current rates), and you can choose the kind of wood you would like them crafted in, from maple, cherry or birch (and there are larger pack sizes available). It doesn’t look as though there is anywhere at the moment that will ship them outside of Japan, but we have found a stockist, Episo, who will ship them to Japanese addresses, so if you have any friends or family in that part of the world, you’re in luck.